In 2014 it was named “Best Travel Guide of the Year” by the Society of American Travel Writers, a stunning accolade from the nation’s most prestigious travel journalists, who find it surpasses any competing guide. 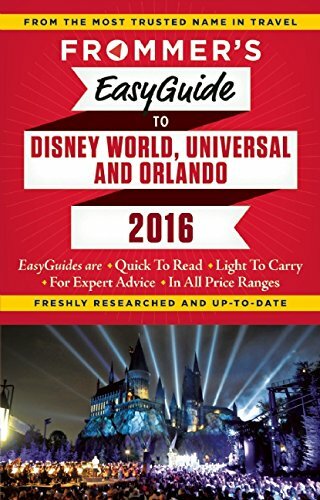 Note that the book is careful not simply to review the attractions and lodgings of the Disney theme parks, but the wildly popular Universal parks (including those themed from the Harry Potter books) and the other intriguing attractions and facilities of the city of Orlando. Author Jason Cochran–Editor-in-Chief of Frommers.com–has carefully updated every mention for 2016, and is as always a superb writer and commentator. The portable Easy Guide format of 288 pages makes this easy to carry and consult.